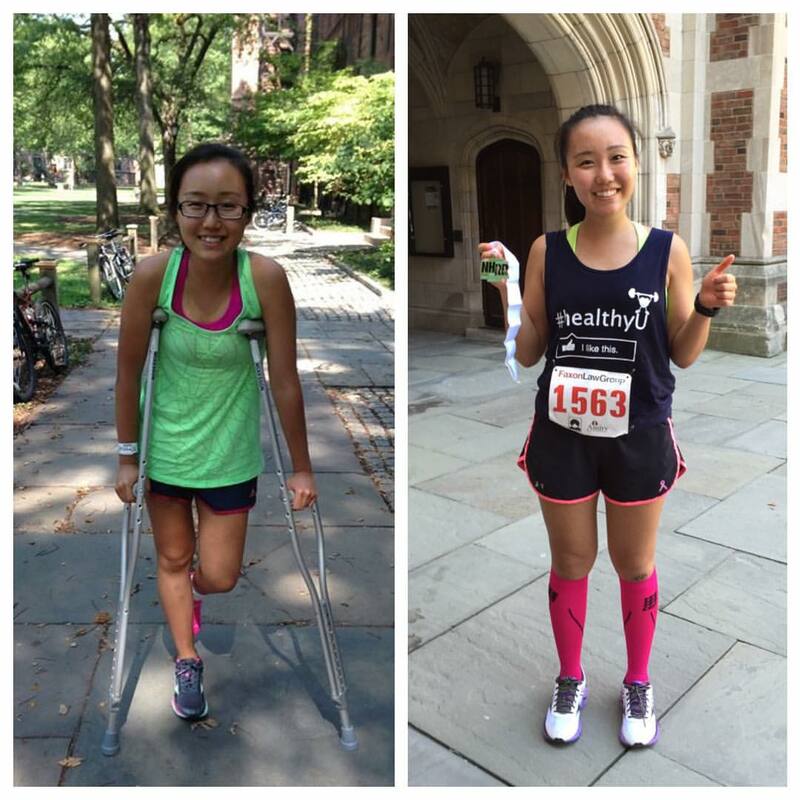 The picture on the left was taken September 6th, 2014, shortly after I suffered a degree 3 sprain on my left ankle. I was prescribed a walking boot (read: no running) for 6 weeks, and physical therapy for another 6 weeks afterwards. Fun stuff. Come November, I was slowly but surely getting back into running (can you tell I like to run) and decided to launch a #RUNdownforwhat campaign to document my journey! The picture on the right was taken September 7th, 2015, right after I ran 13.11 miles and accomplished my #RUNdownforwhat goal. Man did it feel good. For those of you that are curious, the medal in my hand is indeed from the New Haven Road Race (20k), but running a teensy bit after the finish line never hurt anyone. Besides, what’s 0.7 miles in the grand scheme of things? 😉 Never know how far you can go until you risk going too far! It’s been quite the journey, guys. Speed bumps, pot holes, tear-your-hair-out traffic galore, but well worth it. So whatcha waiting for? Lace up those running or dancing or walking shoes, and have at it. A healthyU starts today.